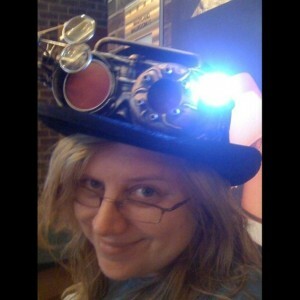 Philippa J. Ballantine is one of the Writer Guests of Honor for TuacaCon 2011 (along with Nathan Lowell and Tee Morris). Her first professional sale was in 1997, and since then she has gone on to produce mostly novel length fiction. 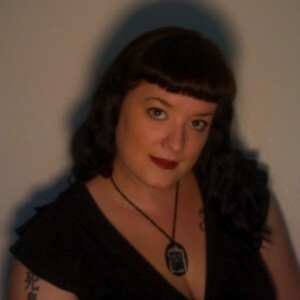 In 2006 she became New Zealand\\™s first podcast novelist, and she has voiced and produced Weaver\\™s Web, Chasing the Bard, Weather Child and Digital Magic as podiobooks. Her podcasts have been short listed for the Parsec Awards, and won a Sir Julius Vogel award. Philippa is the author of the Books of the Order series with Ace- the first of which Geist was released in October 2010. Spectyr (June 2011), Wrayth (2012) and Harbinger are to follow. She is also the co-author of the Ministry of Peculiar Occurrences series with Tee Morris (her soon-to-be husband). Phoenix Rising debuted in May 2011 and Of Cogs and Corsets will be out in 2012. She also has the Shifted World series with Pyr Books, with the first book Hunter and Fox coming in 2012. When not writing or podcasting, Philippa loves reading, gardening, and whenever possible traveling. Her two Siberian cats, Sebastian and Viola make sure she and the family stay out of trouble. 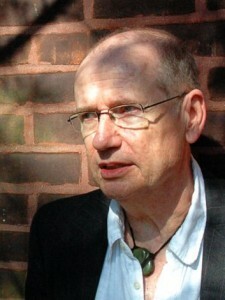 Nathan Lowell is one of the Writer Guests of Honor for TuacaCon 2011 (along with Philippa J. Ballantine and Tee Morris). Nathan Lowell has been a writer for more than forty years, and first entered the literary world by podcasting his novels. His sci-fi series, Trader’s Tales from The Golden Age of the Solar Clipper, grew from his long time fascination with space opera and his own experiences shipboard in the United States Coast Guard. Unlike most works which focus on a larger-than-life hero (prophesized savior, charismatic captain, or exiled prince), Nathan centers on the people behind the scenes–ordinary men and women trying to make a living in the depths of space. In his novels, there are no bug-eyed monsters, or galactic space battles, instead he paints a richly vivid and realistic world where the “hero” uses hard work and his own innate talents to improve his station and the lives of those of his community. Dr. Nathan Lowell holds a Ph.D. in Educational Technology with specializations in Distance Education and Instructional Design. He also holds an M.A. in Educational Technology and a BS in Business Administration. He grew up on the south coast of Maine and is strongly rooted in the maritime heritage of the sea-farer. He served in the USCG from 1970 to 1975, seeing duty aboard a cutter on hurricane patrol in the North Atlantic and at a communications station in Kodiak, Alaska. He currently lives in the plains east of the Rocky Mountains with his wife and two daughters. Nathan has one two Parsec Awards for novels from his “Share” Series. Starla Huchton released her first novel, The Dreamer\\™s Thread, as a full cast production beginning in August 2009. Her first foray into podcasting went on to become a finalist for the 2010 Parsec Awards. Since her debut, Starla\\™s voice has appeared in other podcasts including Weiner Blut and Erotica a la Carte. She is also a voice talent for DarkFire Productions, and narrates several of their projects, including The Emperor’s Edge, This Path We Share, and others. Her writing has appeared in the Erotica a la Carte podcast, the Farrago Anthology and, most recently, the Tales from the Archives podcast. Starla\\™s artistic endeavors continue into music as her dulcet tones have provided sweet crooning for various podcasts produced by Alex White, Koru Studios, and Imagine That Studios. From beautiful Monterey, California, Starla pursues a degree in Graphic Design while agent shopping her new Steampunk project, Antigone\\™s Wrath. Starla will provide an author reading as well as sing during TuacaCon.